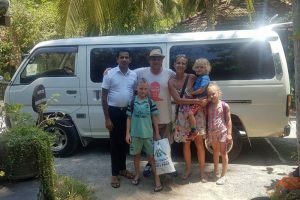 We are in the process of booking a family holiday to Sri lanka next year but I am finding it hard to know which hotels have driver accommodation included. We plan to visit the following places: Negombo, Sigiriya, Kandy, Nuwara Eliya, Ella, Tangalle, Yala, Galle, Bentota and Colombo. Any advice you can give on mid-range hotels where the driver can stay for free would be much appreciated. Alison all star class hotels 3, 4,5 stars will provide driver free accommodation but some hotels driver has to pay for his meals,but luxury boutique hotels will not provide. Hotel groups like Jet wing, John Keels, AitkenS pence will provide free driver accommodation. As per above comments mentioned most of the star class category hotels are providing free driver accomodation but some of them are not providing drivers accomodation for the bookings comming through online so it is better to check with them before booking in advance. I agree with Henry. If you book thro a booking engine some hotels not provide drivers accommodation.